I know here in California we're still in the last throes of summer's heat before autumn kicks in but the holidays are just around the corner. 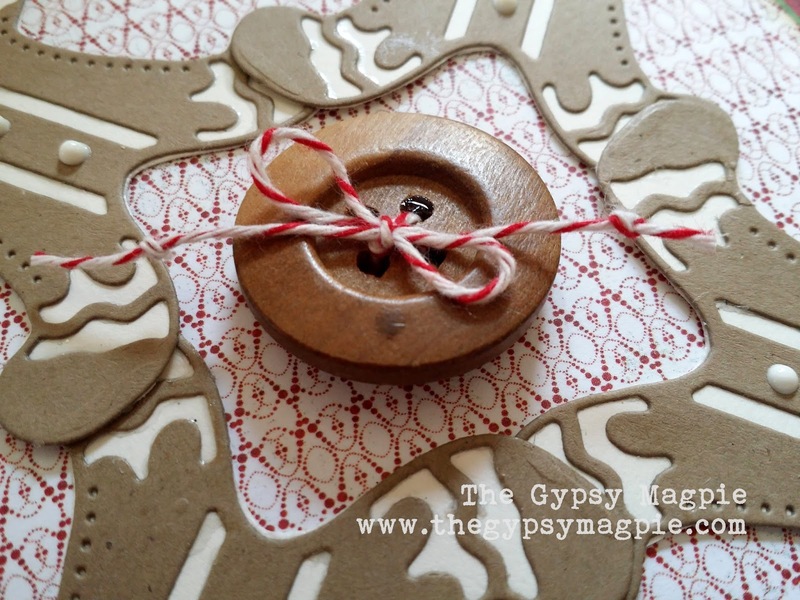 It's never too soon to start on those Christmas projects! 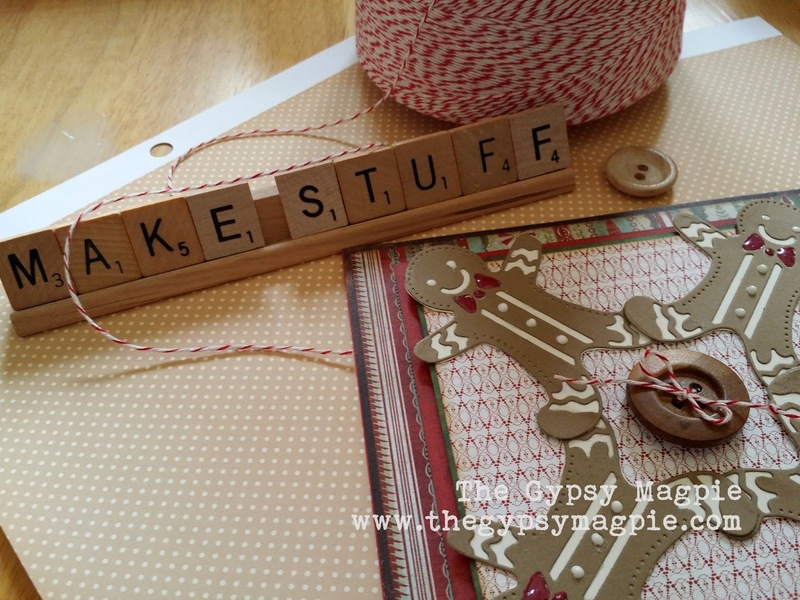 While it's definitely too early to be baking gingerbread men- it's not too early to cut them out of paper. The Gingerbread Man die makes quick work of it... you could cut out dozens of them in the time it would take to decorate just one baked cookie! Here I've used four of them on a card front, layered foot-to-foot to create a gingerbread man square. 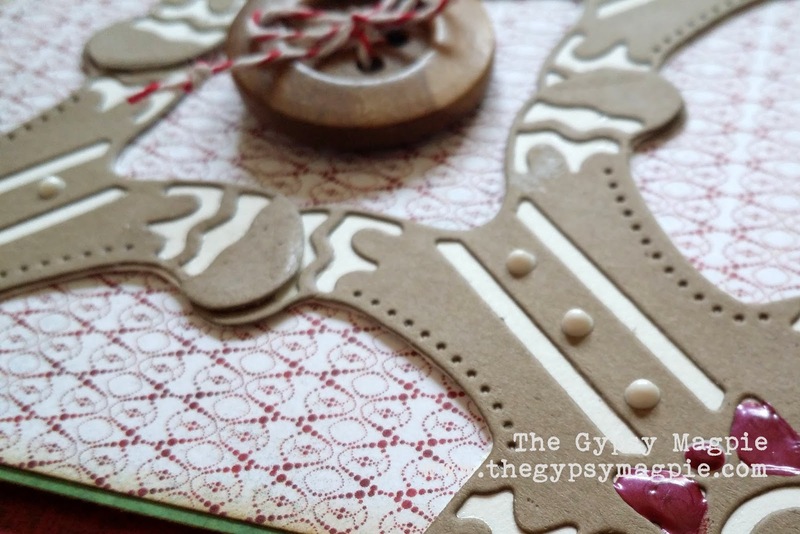 Kraft paper was used for the top layer with a creamy white underneath to bring out the detail. Nuvo Crystal Drops are used for their buttons, as well as their bowties. The card is finished off with a big wood button tied and attached to the center. 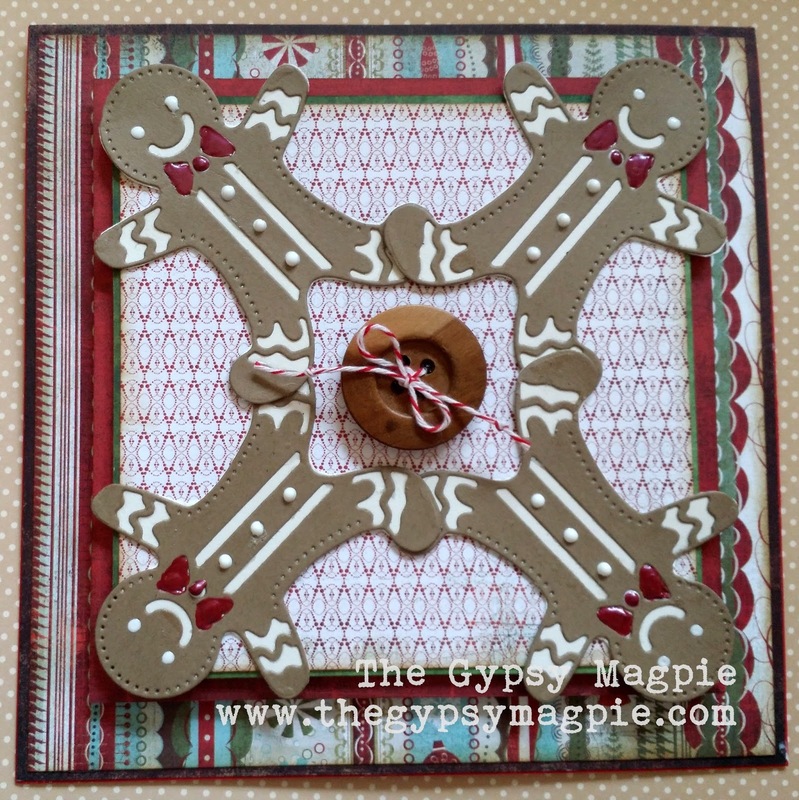 Run, run, run as fast as you can... you can't catch me- I'm the Gingerbread Man! Love, love love this! So clever and fun! Looking forward to working with you! Hugs!